When you find floor coverings you like in our showroom, take samples with you to see how well they harmonize with your home's decor. 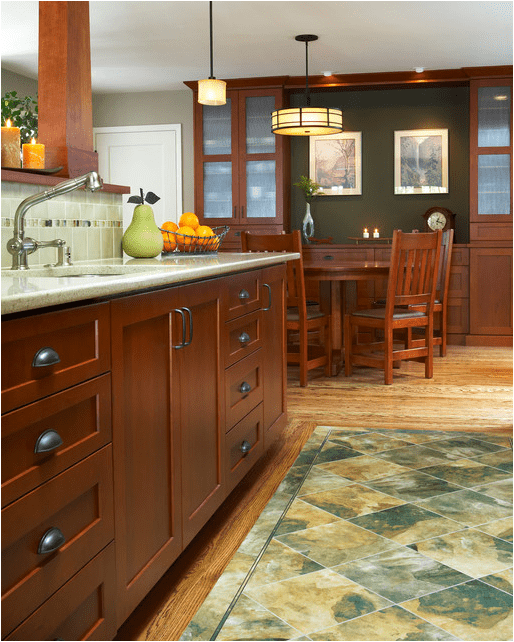 See 800+ samples of domestic & imported floor coverings at our flooring store & showroom. 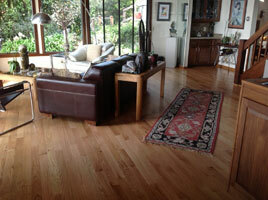 The Most Experienced Flooring Experts in the Bay Area. Go ahead, look it up. We opened our flooring store in 1974. Here’s a neat little trick to tell how experienced a flooring company is – look at their contractor’s license number. The smaller the number, the longer they’ve been in business. Slaughterbeck Floors, license #298783, has withstood the test of time. And so will your new floors. 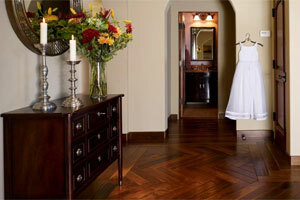 Our team of flooring craftsmen considers attention-to-detail a top priority. And you’ll be able to tell the time and quality of our work when looking at the way your new hardwood floors flow seamlessly at the borders or the mimicry of the custom-cut luxury vinyl tile planks installed in your brand new kitchen. 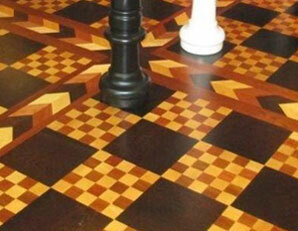 Your new floor may even win an award – something that’s not out of the norm for us. Joan Slaughterbeck brings a creative twist to each job, with an eye for interior design. We love being challenged. 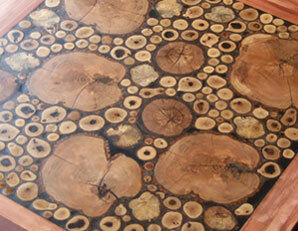 In fact, custom and decorative floors are a specialty of ours. 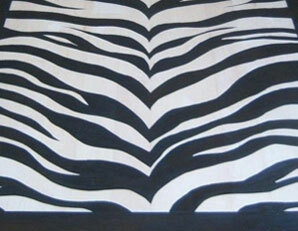 Some unique floors we’ve done include our recycled log floor, our hand-painted zebra floor and more! Explore these floors and more below. 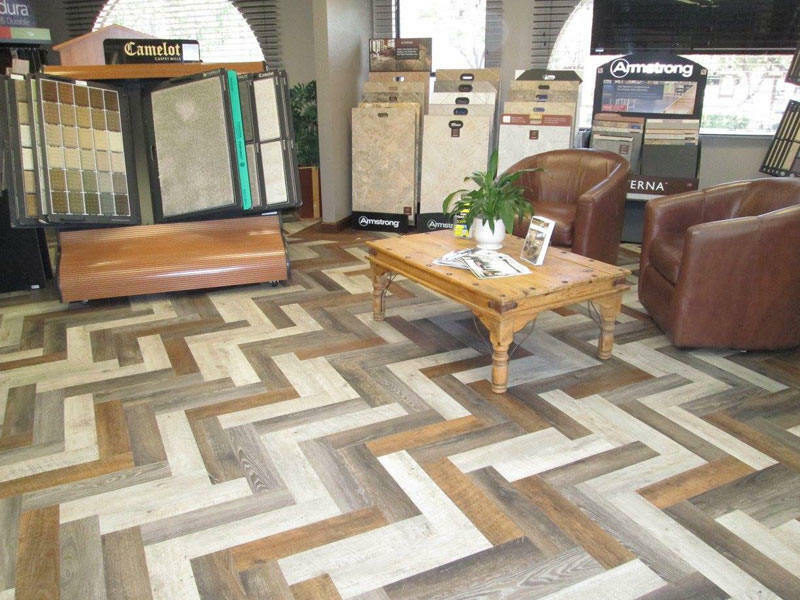 If you’re looking for flooring stores in San Jose and surrounding areas, make sure to visit our expansive showroom in Campbell. Woman–Owned & More than 30 Years in Business. 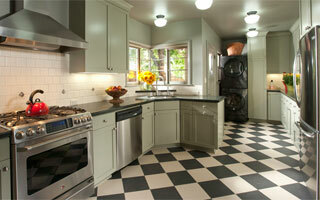 Slaughterbeck Floors, Inc. is a woman owned and operated flooring store in Campbell, CA. The staff in our showroom has years of experience and will help you select the right floor based on your lifestyle and the usage of the room. For many nearby San Jose flooring projects, we’ll also visit your home for an in-person measurement and estimate. We’re in Campbell, but our customers include larger cities from hardwood flooring in San Jose to engineered hardwood in Palo Alto. Our full service area includes San Mateo, Los Altos, Palo Alto, Fremont, Milpitas, Sunnyvale, Saratoga, Los Gatos, San Jose, Santa Cruz, & Morgan Hill. Santa Cruz, & Morgan Hill.